How does crossing the Atlantic, the English Channel, or even national borders within mainland Europe affect the level of protection that RPE provides? Technically it shouldn’t, but in practice it currently does. The same person, doing the same job in different countries is deemed to achieve different levels of protection from the same piece of RPE that they wear. This article explains why, holds out hope of a solution for the future and invites you to be part of the solution. 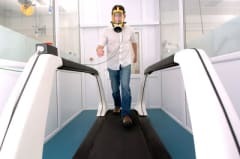 When we are unable to control inhalation hazards by engineering controls we rely on respiratory protective equipment (RPE) to reduce the exposure to those hazards to safe levels. The choice of which RPE to select is based on many factors, but the protection factor assigned to the RPE plays a major role in the decision process. Not only does this impact on the decision making during the selection procedure, but it also subsequently has a bearing on initial outlay and running costs, how the job is conducted and the supporting regime needed to implement effective use of the selected RPE. These assigned protection factors (APFs), therefore, play a very important role. When we consider their origins, however, and when taking a wider view of APFs published in various countries and how they were derived, one sees a picture of sound scientific applications, mixed with ‘professional judgment’, variation and inconsistencies. We have to ask: Are they still fit for purpose given globalisation of business? But hold on – don’t start throwing APFs away just yet. They have played a pivotal role in improving the selection of adequate RPE and will continue to do so in the future; however, their suitability for certain RPE types (devices) has been questioned by both RPE manufacturers and end users. With a new suite of RPE standards being developed in the international arena (under the umbrella of ISO) that will fundamentally change the way RPE is described and classified, it is now an opportune time to reassess their suitability. For example, a powered full face mask respirator has a NPF of 2000 which was calculated from the maximum permitted total inward leakage (TIL) value of 0.05% in BSEN 129422 (NPF=100/0.05). Workplace performance studies, however, have shown that some wearers do not achieve the level of protection indicated by the NPF and therefore the use of NPF was considered not to be a satisfactory measure for selecting adequate RPE. This should not come as a surprise. So an alternative measure of protection factor was required that gave a better indication of likely performance in the workplace. This led to the British Standards Institution (BSI, committee PH/4) developing and publishing Assigned Protection Factors for the various types and classes of RPE. British standard BS 4275:19973 Guide to implementing an effective respiratory protective device programme gives detail on the development of the UK APFs. BS4275:1997 defined the APF as the “level of respiratory protection that can realistically be expected to be achieved in the workplace by 95% of adequately trained and supervised wearers using a properly functioning and correctly fitted respiratory protective device.” In other words, this is the protection that can be expected when RPE is used within an effective RPE programme, e.g. selected, used and maintained correctly. HSE subsequently adopted the use of the British Standard derived APFs in its guidance (HSG53)4 and now requires users to take account of these values when selecting RPE that is adequate for the application. Essentially, to comply with the law regarding control of exposure to inhalation hazards where RPE has been selected as the most appropriate control measure, these APFs must be used to select RPE with the right level of protection. The table below shows the NPF and UK APF for a small range of filtering RPE. How were the UK APF values derived? The APF set for each type and class of RPE was based, as far as possible, on the level of protection which had been reported in studies measuring the performance of that type and class of RPE (as defined in European Standards) in real workplaces. ?While workplace data was available for most types of filtering devices, however, very few results were?obtained for breathing apparatus. Most of the workplace protection factor studies had been carried out in the USA on devices which had not been demonstrated to comply with the current relevant European standards. For the purposes of setting APFs for devices complying with European standards, it was necessary to draw parallels between European standard classifications and American devices. Within the UK therefore, we have a consistent and defined set of APFs to help end-users comply with national law. The derivation approach taken has led to conservative, some would say overly pessimistic values of APF for use in RPE selection. The attraction of these values is that if they are in error, the error will tend to be on the side of safety, and should result in reduced exposures for RPE users. Other countries have gone through a similar process in relation to their own national regulations. As we will see below, they have not always come up with the same answer. The British standard on RPE selection (BS 4275) was superseded by the European standard EN5295 in 2005. This European standard for RPE Selection Use and Maintenance also included a list of APFs for five EU countries. As can be seen from Table 2, these differ significantly for the same small range of RPE. Also included in the table are some APFs published by OSHA in the USA. Why the difference for the same type of RPE - does it matter? Well the answer to the second part of the question is much easier to answer than the first and that is – Yes, is does matter - to both users and manufacturers. Many RPE manufacturers supply to the UK, European and the US markets. While the European Standards helped to open up trade and provide a harmonised performance baseline for RPE, the selection and deployment of RPE across UK and Europe still has one major barrier – that is the variance in the nationally applied APFs. This is further compounded when the US market and their APFs are brought into the equation. Imagine the following scenario: A UK based manufacturing company sets up a production process in competition with other EU and US manufacturers. The company’s process is similar to its competitors. Having implemented the legally required hierarchy of control there is still a residual respiratory hazard and RPE has to be worn. The outcome of the risk assessment requires that a device with an APF of at least 50 is needed to reduce exposures down to safe levels. As can be seen in Table 2, in the US and other EU countries a filtering device can be considered to provide this level of protection, such as a full face mask or a powered full face mask respirator. In the UK, however, there are no filtering devices with an APF higher than 40 – because full face masks and powered full face mask respirators are only assigned an APF of 40 - and therefore the only solution is to deploy air-fed suit or demand breathing apparatus (BA). This increases the burden on the end-user, who is forced to implement a different and more costly and complex RPE programme. This obviously disadvantages UK companies and could also possibly be a barrier to investment in UK based production. Other large users of RPE, such as the pharmaceutical and the nuclear industries, consider the current UK APF values for specific RPE types (e.g. full face mask respirators and air fed suits) to be very conservative, thus creating difficult operational challenges. This is a particular problem for multinational companies who are prevented from using the same control measures for the same work in different countries. Let’s also look at this from the point of view of a RPE manufacturer who markets their products internationally. In addition to explaining to end users why, for what are in essence identical devices, the protection provided differs when it is used in different countries, manufacturers have the extra burden of changing information documents and promotional materials that refer to their products’ APFs. Now, to the first part of the question. When BSI developed the current UK values for APF they took the decision to base the derivation on data from workplace studies that followed an ‘As-is’ protocol – where data were collected from workplaces under their existing regime of use, warts and all. Unless the quality of training and supervision during ‘As is’ studies was clearly inadequate, they were considered to give the most realistic indication of the protection factors which were likely to be achieved in workplaces in the UK. Under this protocol, workplace data is measured in the context of the existing RPE programme** and no action is taken to address deficiencies in the programme. Therefore data was collected where the RPE programme may not have been in full compliance with either good practice or the regulations in force at the time. One major RPE programme deficiency (though not a requirement at the time when these APFs were set) in some of the studies, included in the data review, was the lack of application of facepiece fit testing on wearers. This is in contrast to the protocol adopted by the US, where they ensured that an effective RPE programme was in place and that facepiece fit testing, where appropriate, was carried out, for data to be considered in their APF derivations. This is one of the reasons why the APFs in the US and the UK are vastly different. Additionally, the approach to in-mask sampling routinely used in the US was also considered by BSI to underestimate the in-mask concentration, thus leading to an overestimation of likely workplace performance; this was also taken into consideration in the UK APF determination. A deficiency in the UK determinations of APFs was the lack of suitable RPE performance measurement data. It was therefore necessary for the BSI committee to include data from studies that had followed the US (non-‘As-is’) protocol into its APF derivations. Additionally, for some types and classes of RPE there was little or no suitable workplace data available on which to base an APF. Therefore for these types and classes of RPE an APF was ascribed to a device partly on the basis that there is some level of equivalence between its operation and that of a device for which an APF was derived from workplace performance data. This ‘professional judgement’ approach, while the product of many years’ experience, has little or no technical data to support the decisions taken. This was not an ideal situation; however, it was considered the best route to take at the time when faced with a shortage of workplace data. European law, through national regulations covering the selection, use and maintenance of RPE as a control measure, requires that an effective RPE programme be put into place. If any step of the RPE programme is deficient, e.g. maintenance or, in the UK, fit testing, then the RPE programme is not in compliance. This is basic good practice. When we are interested in the performance that can be provided by RPE, what we want to measure is the performance of the RPE and not the effect of any deficiencies in the RPE programme. It therefore seems logical that when the performance of RPE is to be measured, then the minimum requirement for the RPE programme is that it is in compliance. It is worth noting that recent UK research6 identified that less than half of the workplaces examined had anything approaching an effective RPE programme - lacking in areas such as selection, maintenance, training and use. So how can we improve the quality and relevance of the values of APFs? The simple answer is through measuring the performance of RPE when worn by real workers in real workplaces, following an agreed protocol. The process of obtaining more data, however, is not simple, but rather complex, intensive and resource demanding. Assuming we have carried out workplace studies and have generated new data and updated the APFs - will there be a level playing field between the UK, the rest of Europe and the US? The lack of a harmonised approach to workplace performance studies and the derivation of APFs has been responsible for the huge differences in assigned protection factors that we currently have. It is therefore essential that whatever the UK decides to do, it does so in consultation with the EU and the US. As there is a suite of new ISO RPE standards on the horizon will that solve our problem? The existing total inward leakage test in European standards uses a test panel of ten people and allows for rejecting test subjects who do not pass the initial screening test before the total inward leakage test is carried out. The exercises, while going some way to representing movements encountered during work, are far from simulating actual workplace conditions. It would be extremely difficult, if not impossible, to develop a ‘standard’ test that truly represents the diversity of workplace conditions; however, improvements can be made. The latest draft of the new ISO test method standard is considering a test panel of 25 and a more robust exercise regime with the inclusion of more test exercises and range of movements than in the current CEN standards. This new robust test is therefore a step in the right direction, but on its own will not result in harmonised RPE selection. As part of the suite of new ISO RPE standards, a new selection, use and maintenance standard is under development. One very important subject that the responsible ISO committee is having to tackle is the variance in the APFs across the globe. Without a harmonised system for the development of APFs a new approach for assigning a ‘protection factor’ to RPE is currently being considered and follows on from the more robust total inward leakage requirement. The new approach was to review the current NPFs for various RPE types and classes and how they relate to their respective current assigned protection factors. Values from the UK, EU and US were reviewed. This resulted in a range of ‘Protection Levels’ allocated to laboratory performance classes. This allowed for a harmonised approach to be included in the developing selection, use and maintenance standard. The ISO standard committee acknowledged that this approach did not take into account any new workplace data, or a review of existing workplace data, and are therefore now looking at what can be done to validate these ‘Protection Levels’ prior to the release of the ISO standards. Ultimately, these Protection Levels could replace the plethora of national APF values. A further complication is that the new ISO standards will classify RPE in a fundamentally different way to that currently used throughout the world. Currently, RPE classification is largely design-based – if it looks like a full face mask, it is a full face mask, and has the APF of a full face mask. The proposed new ISO classification system breaks the link with appearance, and is performance-based: it doesn’t matter what it looks like, it achieves a protection level of X. This opens the way for manufacturers to come up with innovative products, but makes it difficult to allocate existing products to new ISO categories. A key aspect of control in the prevention of inhalation of hazardous substances by workers is the correct selection and use of RPE. National guidance (e.g. HSG 53)4 informs those involved in the selection of RPE of APF values and how these can be used to aid the selection process. It is therefore important that this advice, and that also issued by RPE manufacturers, is relevant now and in the future when new worldwide standards for RPE are implemented. Those of us who are active in this area of RPE acknowledge that there is a need to establish the real performance of RPE conforming to the current and emerging RPE standards, through workplace protection factor studies (where necessary), to justify or adjust existing APFs. As there are numerous potential forms and performance levels of RPE to be evaluated, the task requires support by the whole RPE community – manufacturers, suppliers, users, standards bodies and regulators. There is too much to be done for any one player or organisation to handle. Internationally agreed and coordinated initiatives and actions are needed for progress to be made. Such activities are in their early stages of planning and development now, and we are looking for organisations willing to participate in a taskforce to establish the real performance of RPE. If you are interested in participating, please contact Mike Clayton or Nick Vaughan. Also, watch out for a possible meeting in the next couple of months to discuss and explore the way forward. The road ahead will be steep and strenuous, but the view from the top should be magnificent. 1. BS 4275:1974 Recommendations for the selection use and maintenance of respiratory protective equipment, British Standard Institution, London. 2. BSEN 12942: 1999 Respiratory protective devices: Power assisted filtering devices incorporating full face masks, half masks or quarter masks - Requirements, testing, marking. European Committee for Standardization (CEN), Brussels. 3. BS 4275:1997 Guide to implementing an effective respiratory protective device programme, British Standard Institution, London. 4. HSE Respiratory protective equipment at work: A practical guide HSG 53. ISBN 978–0-7176-2904-6, HSE books. 5. EN529:2005 Respiratory protective devices - Recommendations for selection, use, care and maintenance - Guidance document. European Committee for Standardization (CEN), Brussels. 6. Bell N, Vaughan N and Hopkinson J. (2010) Factors influencing the implementation of RPE programmes in the workplace. HSE Research Report RR798 HSE Books. www.hse.gov.uk. Available from: www.hse.gov.uk/research/rrpdf/rr798.pdf This article and the work it describes were funded by the Health and Safety Executive (HSE). Its contents, including any opinions and/or conclusions expressed, are those of the authors alone and do not necessarily reflect HSE policy.